Started as a District Manager out of the Syracuse NY region in '75. My "block" was New Jersey. Became a Sales Manager out of the Richmond VA region in 1977. 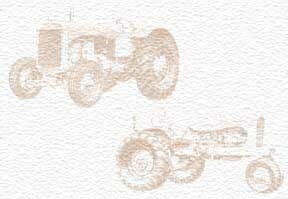 In 1979, I moved to the home office in West Allis, WI as a Tractor Product Manager. It was so cool in 2005 to drive my restored 190XT in the Gathering of the Orange parade around West Allis and what remains of the old Allis plant. Cool, but also sad.